Family is everything to me. It always has been but a few months after Weston was born, it became even more important to me. I learned just how fragile life is and how easy it is to take it for granted. When Weston was six months old, my younger sister passed away unexpectedly. She was just 23 years old and it felt like she had her whole life ahead of her. She used to tell me how she didn’t like babies, but how Weston was the exception and was the only baby she liked. I would have loved to see how their relationship might have grown over the years. But that was lost the day I stood by my mother’s side and heard the most devastating news a mother can hear. One of the most challenging parts of my grief was watching my mother grieve the loss of a child. I found myself living in fear of losing my own child. I found my heart breaking for the loss of my sibling. I found my heart breaking in a different way as I watched my mother’s heart crumble to pieces. I’m thankful for my children. They’re the ones who have helped my mom on her journey with grief. It’s not something that ever leaves us but it changes. Weston and Carrigan are two reasons why our grief has not just overtaken us. One thing I’m pretty sure I will always find challenging is knowing that my kids will never have a relationship with their aunt. They will never be able to know her and grow their connections with her. While I know they don’t feel a loss, I feel it deeply and I want them to know her in any way that they can. 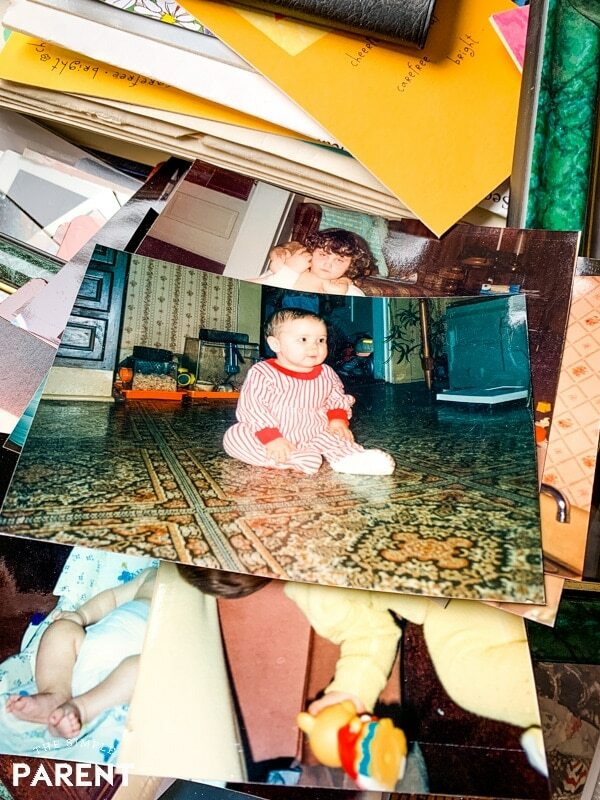 We have boxes of old photos, many of which are pictures of my sister. They currently live in a storage box in the garage and it’s always in the back of my mind that it’s not the best way to care for them. Growing up, Meredith and I did a lot of musical theater together. We have a collection of VHS tapes of the shows we did together. Carrigan is turning into a little singer and dancer which is a connection she has to her aunt. VHS isn’t really something I have a way to show her though. 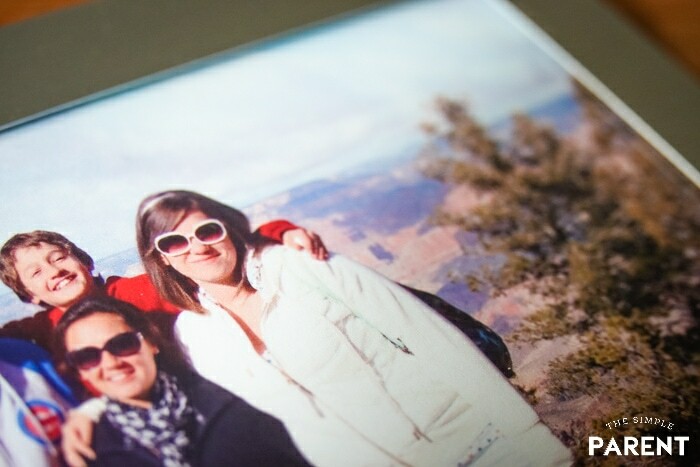 I needed some help saving the memories that have become even more precious since we lost my sister. 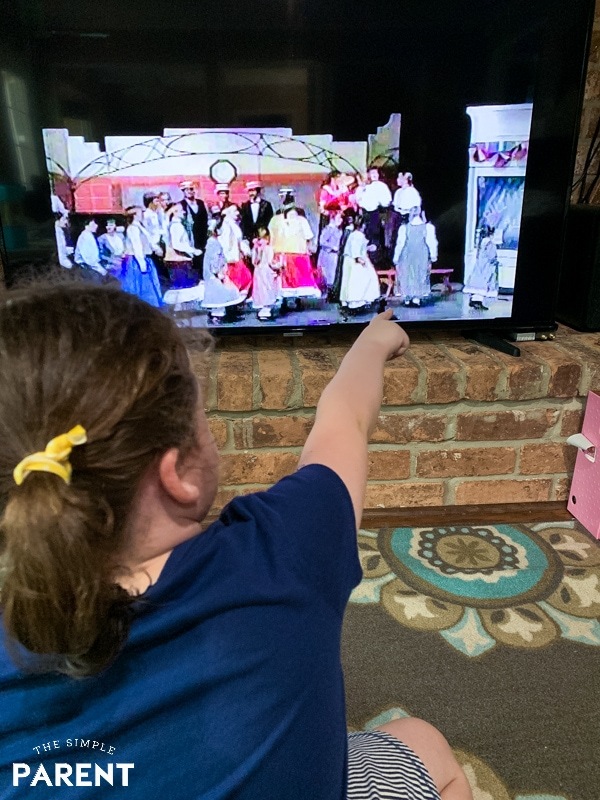 I needed a way to save the photos and videos so I knew my children would be able to get to know their aunt. 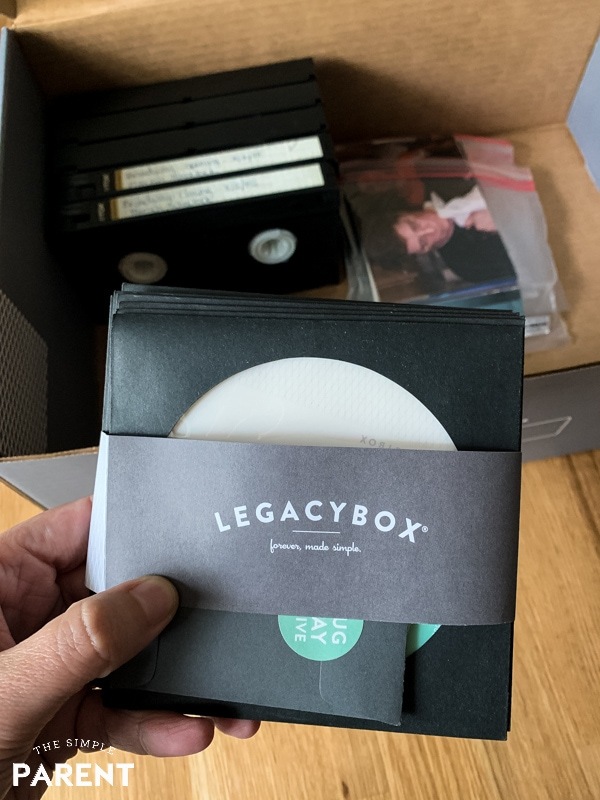 Legacybox is an easy way to preserve the memories for my kids and give them a way to get to know their aunt a little bit more. I love that Legacybox can convert old tapes, photos, and old film into digital files we can share and pass down. They can digitally preserve 19 types of media! 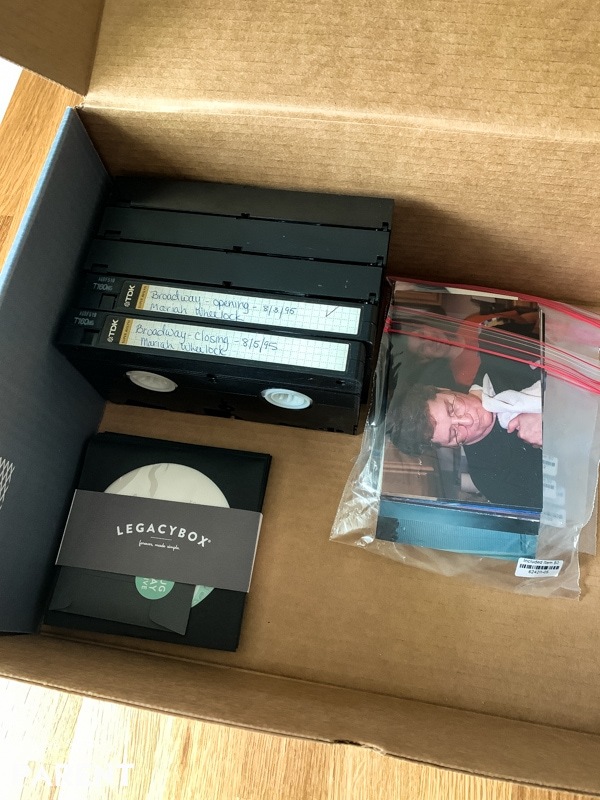 Visit Legacybox.com to learn more about all of the types of media they can preserve. When you’re sorting through old photos and videos, it can get a bit emotional. So I needed the process to be simple. 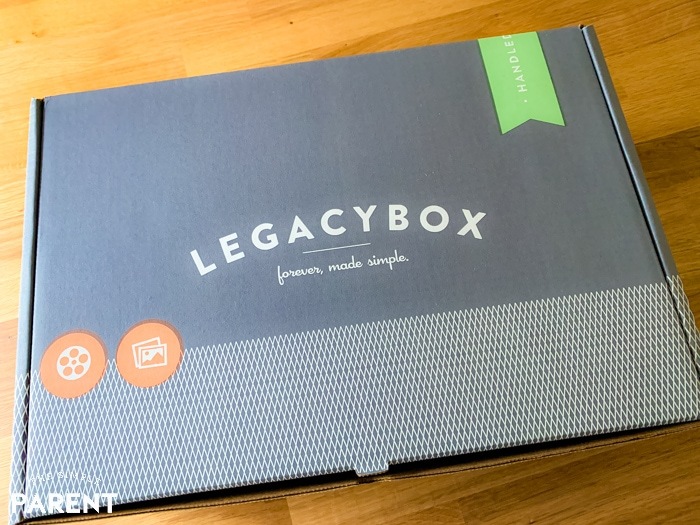 The Legacybox Family Kit we received made it very simple to take the next step in saving the memories. The most intense part of the process and the part that took me the longest was going through the photos to decide which ones I wanted to send in. But once I’d done that, it was easy to use the Legacybox kit to label my originals. Then I filled the box and mailed it off. 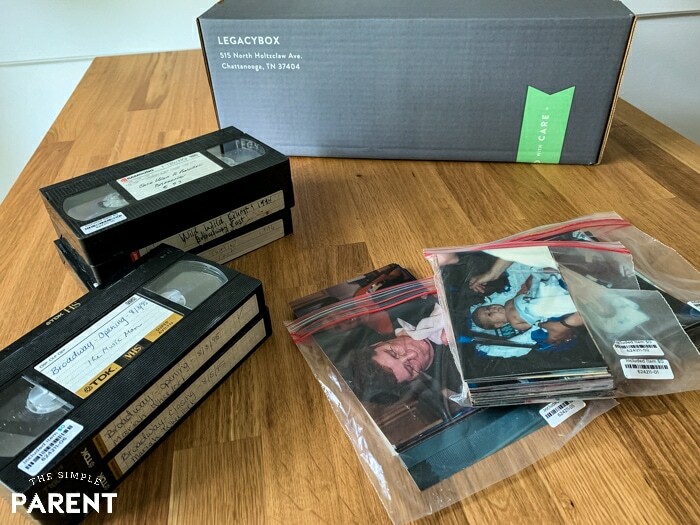 Legacybox took care of our precious photos and videos while turning them into digital files we could actually use and share. I went through the Legacybox process on my own. It was so tempting to show my mom the old photos that I picked to send in. But I wanted this to be a gift for her as well as for my kids. Opening the box when I got it back was pretty emotional for me. My original media was in the box so I had the cherished pieces back in my hands. But I also had the new digital files. 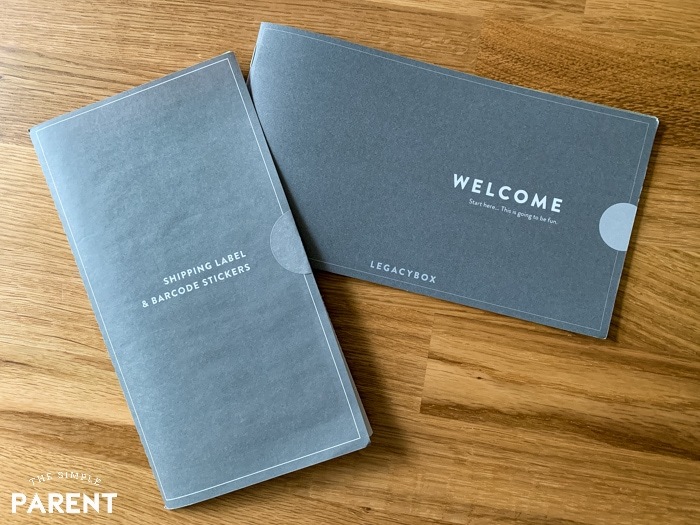 I’d received them earlier in downloadable files through email, but holding them in my hand felt like I was holding a part of my family’s story that I was now able to continue passing down. It felt like I was holding my memory of my sister in my hand. 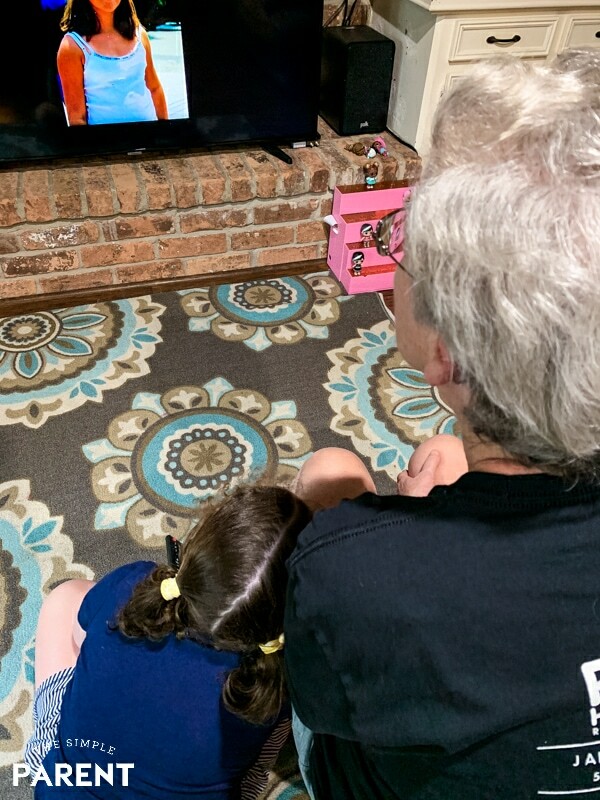 Thanks to Legacybox, my daughter was able to see her aunt when she was just a bit older than Carrigan is now. Watching the old VHS movies on our television together was a wonderful experience. I hadn’t watched the videos in years since they were all on VHS. 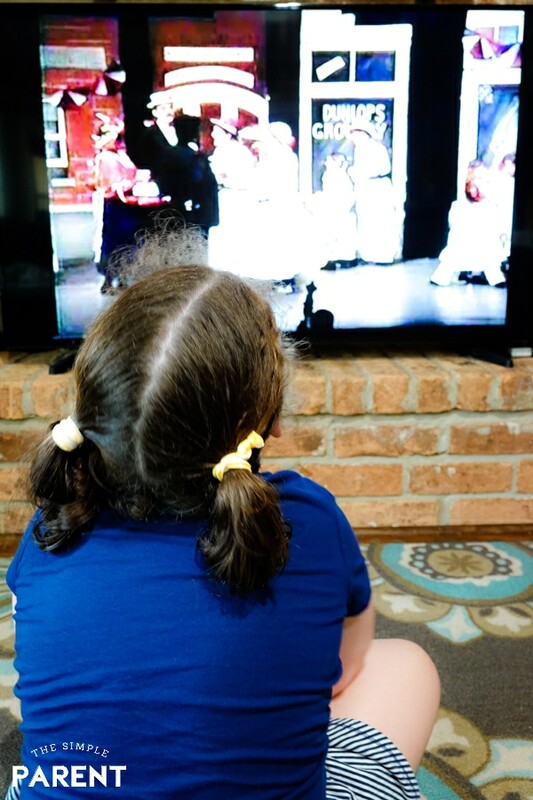 While I watched, I realized how much my daughter sometimes reminds me of my sister. She lives on through my children and now they know her a little bit more. Having our old photos digitized also gave my mother an opportunity to walk down memory lane. She wasn’t sure how she would handle it but she wanted to see the photos. You never know how grief will hit you. No matter how many years have passed, it can still catch you off guard. Grambo was happy to see the photos and watch the videos. 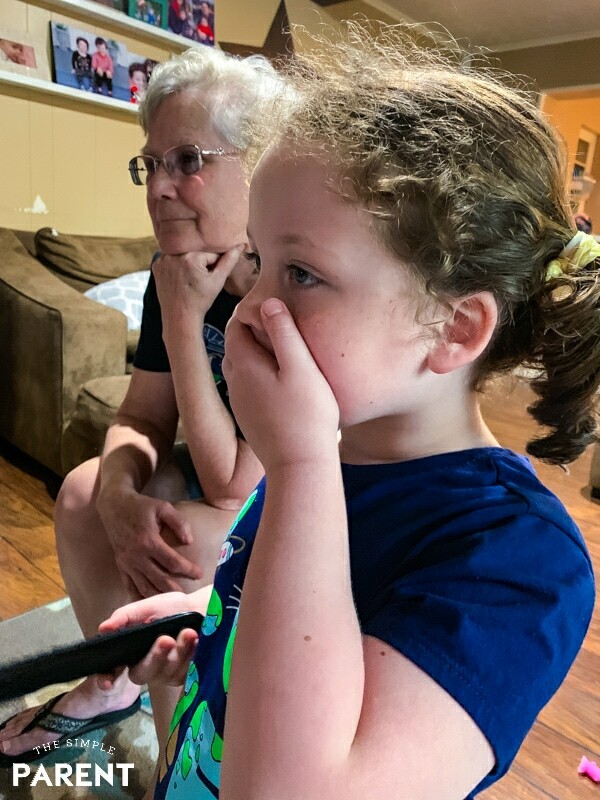 It was a time when the memories brought her joy and sitting with Carrigan to look at them felt like a bonding moment for them. It may not seem like a lot, but Legacybox brought some old family memories back to life so we’re able to enjoy them again. It means so much to my family. After experiencing the Legacybox process and seeing how easy it was, I’m looking forward to doing it with more of our photos and videos. The process was simple and I love having our memories in one place. We received discs and a thumb drive as well as downloadable files via email. So I know have important pieces of our family history at my fingertips! If you’re looking to get some of your old media digitized, I highly recommend Legacybox. You can visit Legacybox.com for full details. You’ll get your media professional digitized, tracked via barcodes, and shipped back to you for free! 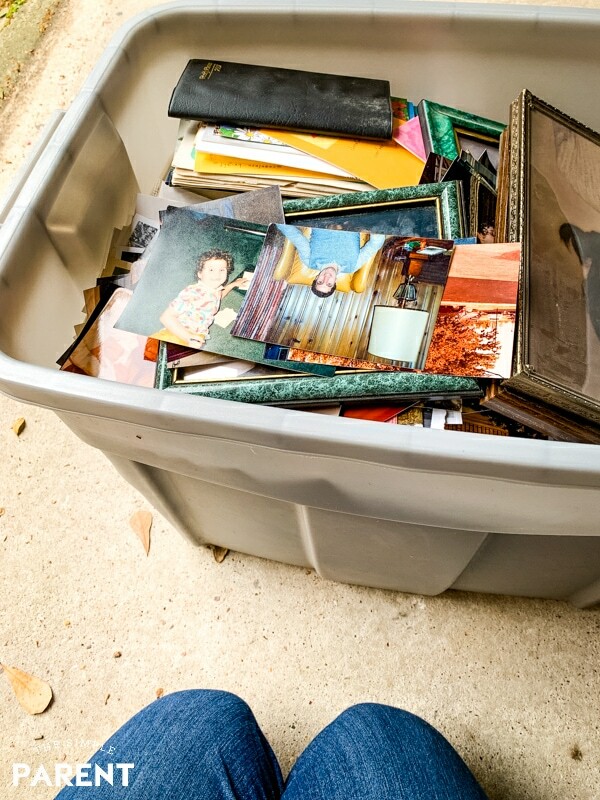 Order your Legacybox today and get 40% off with the Legacybox coupon code CHERISH to save the precious memories you don’t want your family to lose! « Crockpot No Peek Chicken is the Easiest Dinner Ever!